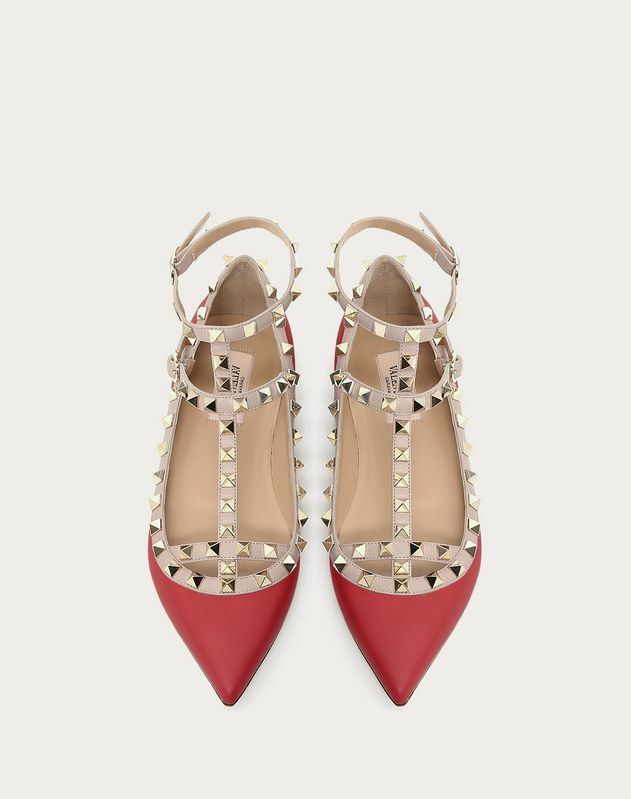 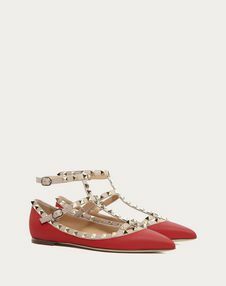 Valentino Garavani Rockstud ballerina in calfskin leather and nappa leather. 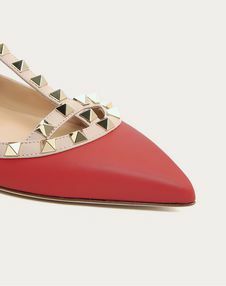 Platinum finish stud details. 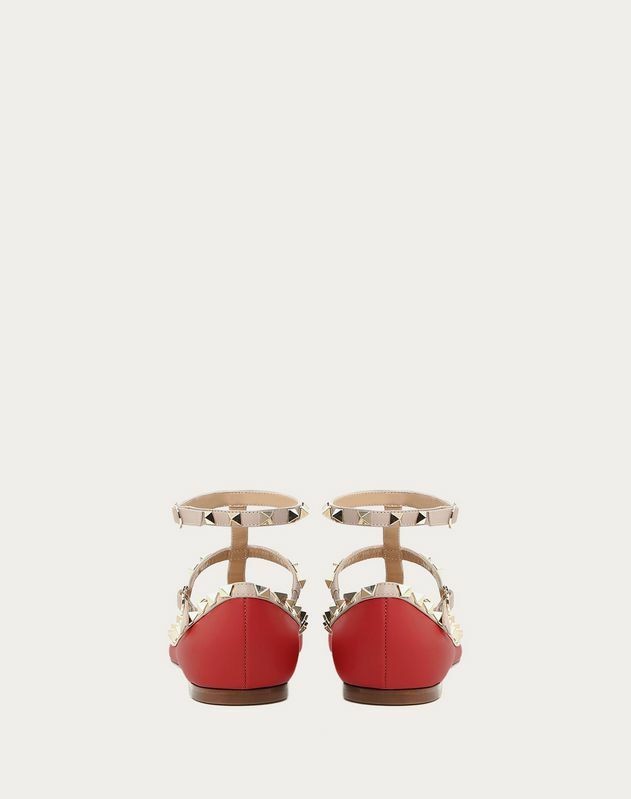 Two adjustable straps. Heel 5 mm/0.25''.